The Cité internationale universitaire de Paris and its 34-hectare park will host the Athletes’ Village. A boon to these athletes who will be able to walk to the Charléty stadium. 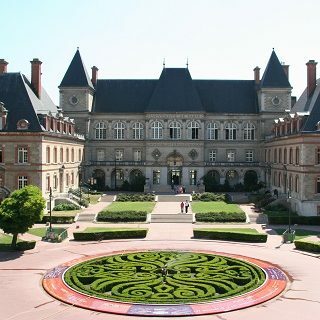 Created in the aftermath of the First World War, every year the Cité internationale universitaire welcomes some 12,000 students, researchers, artists and top-level athletes from nearly 150 nationalities. Consisting of 40 houses, each with a specific identity, it is a place to open to the world and develop social bonds. During the 2020 European Athletics Championships in Paris, part of this historical site will be secured and restricted to the exclusive use of athletes. The Cité internationale has a unique architectural heritage: five houses and part of the park are protected under Historic Monument regulations; several of these buildings were designed by renowned architects like Le Corbusier or Claude Parent. The campus offers many services that contribute to the comfort of its residents: library, dining areas, sports facilities, co-working space and auditorium. Finally, it ensures peace and quiet within its 34 hectare park, alternating green spaces and walking paths. A secured footpath will also allow athletes to cross the park to reach the Charléty stadium in minutes, a first in the history of the European Championships. After the First World War, the Cité Internationale project was based on the desire to build peace on a deep and lasting basis, promote community life, exchanges and mutual understanding by bringing together young people from all countries in one place. These values have since guided the evolution of the campus: every house, built by a patron, a country or a school, is a place of cultural expansion. In 2003, the Cité Internationale successfully hosted delegations to 2003 World Athletics Championships in Paris. 2025 will see the end of a modernization phase of its services and construction of 10 new homes, also marked by the extension of the park.